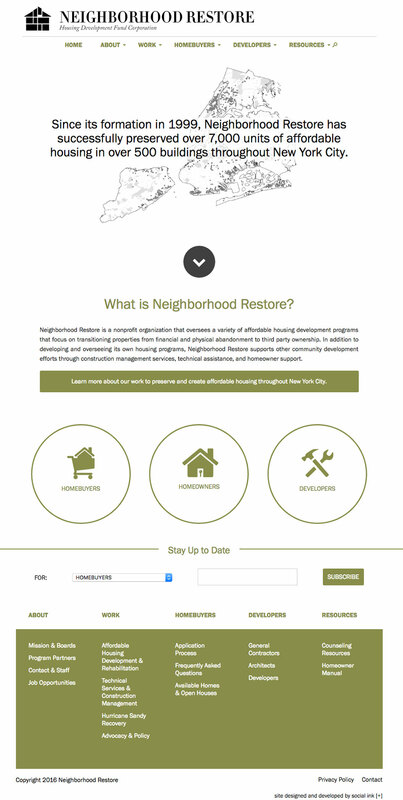 Neighborhood Restore is a nonprofit organization that oversees a variety of affordable housing development programs that focus on transitioning properties from financial and physical abandonment to third party ownership. Neighborhood Restore supports other community development efforts through construction management services, technical assistance, and homeowner support. Working with alongside the good people at Neighborhood Restore, Social Ink overhauled a creaky, aging nonprofit website with a new sleek home on the web. Powered by a custom build on the WordPress CMS, the site focuses on diverse audiences: homebuyers, homeowners and developers. 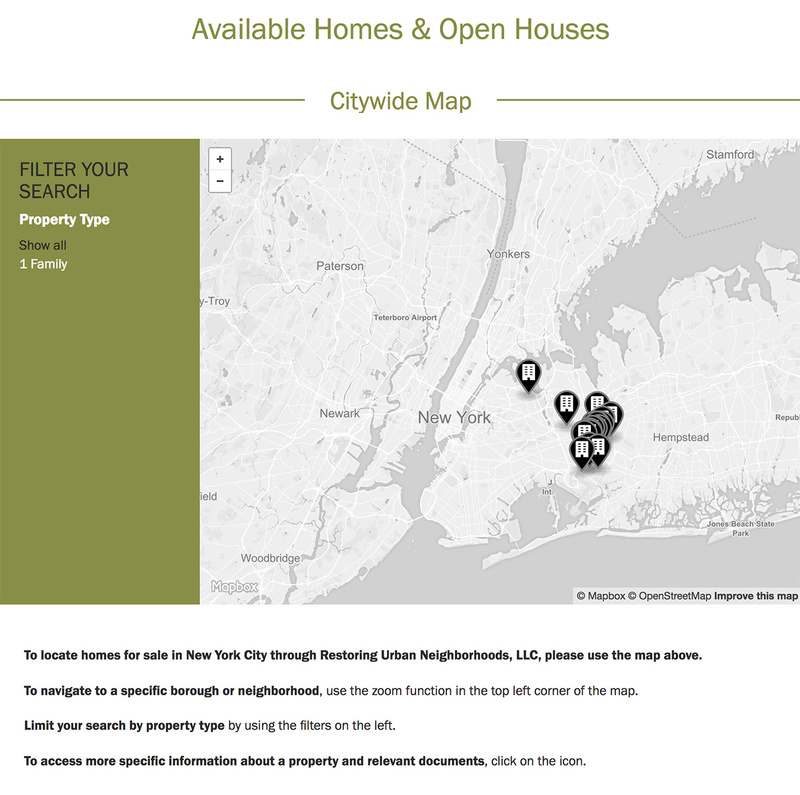 Key features of the site include an interactive map showcasing the units the organization has rejuvenated over the years, with an option for custom text overlay and application submission for available housing and development projects. Interactive “before and after” sliders show the progress of the buildings they restore and provide. As always, the site is responsive across an array of screens, from phone and tablets to high resolution monitors. We’re proud to partner with an organization that does important working in affordable housing in New York City, continuing our work building websites for nonprofits!